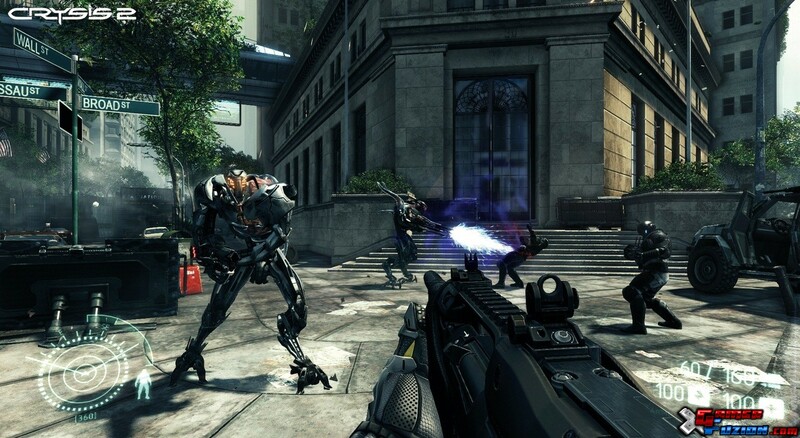 Crysis 2 Beta, 10 Mins Footage on the Xbox 360. The game mode is “Team Deathmatch” and is set on a map called the Rooftop, A bunch of players are playing in the sessions and some vertical cross firing is going on between the two teams. You can also jump in different rooftops of buildings scattered in the map. The Video Quality is not that good, So we cant clearly see the visuals and improvements on the new CryEngine introduced on the consoles. Although we can see a bit of screen tearing and Lags here and there. Also to be noted that Crysis 2 is said to have the best visuals/graphics in the history of video games. The game will be released on the PC, PS3 and Xbox 360 in March 2011.